A new report confirmed something that was obvious to anyone. Hosted contact centre services are here – and they’re here to stay. We asked our panel for the key things to look for when choosing a hosted call centre solution. The savings that can be realised by moving to hosting are obvious. With hosting, there’s no real capital expenditure, you don’t need as large an IT team to maintain in house resources, and there are potentially huge operational and support cost savings. Plus you have the flexibility to switch services on and off dependent on requirements, the scalability to grow your operation seamlessly, and the opportunity to benefit from the specialist application and operational experience of your hosted partner. Sounds simple. In practice, however, it’s not always been easy – and a key reason is that organisations often struggle to get their hosting partners to understand how their businesses work. To understand, for example, the importance of one business process to another, and to appreciate which client requests are critical and therefore must be made instantly. While stand alone applications – and those that require infrequent changes – are relatively easy to host, those that are tightly integrated with other mission critical applications and require frequent changes are more difficult. That’s why web site hosting, for example, is often pretty straightforward – while hosting a complex customer contact technology environment is more complex, requiring knowledge, experience and a range of technical capabilities on the part of the service provider. Here are 5 essentials when it comes to picking a hosted service provider for customer contact services. 2. A range of contact centre technology services: Not just the technology to answer and route calls to contact centre agents but also to forecast call volumes and schedule the right number of agents with the right skills to meet those expected volumes, handle self service requests, and deliver integrated CRM, performance management, data and speech analytics etc. Whenever possible, get an independent expert to check out the IP infrastructure and IP contact centre capabilities of your potential partners. 5. Customer references: The theory of hosting can be very different to the practice – and having good technology alone doesn’t make you a good hosting partner. Whenever possible, speak to other customers and assess aspects such as responsiveness, trust and, of course, reliability! The benchmark research I recently completed into Agent Performance Management showed quite clearly that the majority of companies – 64 percent – still prefer to source their contact center applications as licences to use a vendor’s product on their own in-house computer systems. However the same survey shows that 21 percent of companies would consider hosted or “cloud-based” applications. Without getting into the debate as to what is the difference (very little in my opinion), the common features are that the application is based on a third party’s computer systems, the application is typically accessed through the Internet, and the access charges are based on a formula normally based on a per user, per period basis. This gives hosted solutions considerable advantages over in-house solutions in that there is little or no upfront CAPEX costs (for hardware or software), no requirement for technical support or operations staff, no annual maintenance fee, and upgrades come as part of the package. All of which seems to make it a “no brain” decision to change models. However I think there are three key things companies should check-out before making the transition – functionality, technology, data accessibility. 1. Functionality – It may seem like an obvious statement but companies really need to check out what the product does before getting carried away with the other benefits. The functionality must fit the business requirement, otherwise users won’t use the system, it won’t deliver the expected business benefits and so will ultimately become a waste of money. Since no system is likely to meet a company’s business requirements 100 percent, a key feature will be to what extent individual companies can customise the application to meet their own unique requirements. This should include simple changes like being able to add additional data fields, modifying the user interface and even simpler things like using filed descriptors that match terminology used in the company. All these things will make the application much more acceptable to users and will help ensure wide-spread adoption and use. 2. Technology – In my experience this is where lots of companies focus and so of course the hosted suppliers have their answers. Questions range from security (physical, access to the system, data), performance, scalability, reliance, response times, disaster recovery to the software configuration – single or multiple instances. While these are important questions , personally I think the most important issue is what happens if the vendor ceases to trade or gets taken over. This raises the real question of what happens if the service ceases immediately, leaving companies without access to the application or their data. In the case of licensed software most companies would be able to continue using the application until they find a replacement solution; in the case of hosted solution this is not always so clear so prospective buyers should fully understand what happens in such circumstances. 3. Data accessibility – For me the biggest implication of adopting a hosted solution is the accessibility of data. My research into customer data management shows that companies have a big enough issue managing their in-house data let alone coping with data outside their firewall. The results show that companies have customer data in anything up to 21 different types of systems (ERP, CRM, billing, knowledge databases, data warehouses lots of spreadsheets etc.) and keeping this all up-to-date, clean, top quality and synchronised is almost impossible without adding the issues of having external data sources managed by a third party. If for no other reason, companies need this data to produce consolidated or 360-degree reports about their customers. So a key question before adopting a hosted solution is what access is there to this data and how can it be imported and integrated with other data. Don’t get me wrong; there are times when hosted call centres are a perfect solution to contact management challenges. But frequently we find that hosted solutions are considered with the single objective of avoiding significant capital investments. There is another way; in the world of low-cost Voice over IP infrastructures and pay-for-use call centre software it is perfectly feasible to have your contact management under your control without major capital cost. So when should you consider hosted? Hosted solutions can get your call handling activity up and running very quickly. There are occasions when it makes sense to test out the case for a new business idea. Hosted solutions give you the opportunity to try out your business idea without long term commitment. Your operation might operate from distributed locations and may include at-home agents. Hosted technology makes sense. Their may be seasonal changes in demand that can be supported by an on-demand hosted solution; similarly access to a hosted solution can form a key role in a disaster recovery plan. A hosted contact centre should not be a compromise. You should expect to have all the facilities that are available in a traditional ‘on site’ operation. Of course there are a few extra areas to consider. 1. Security. Your data (and potentially your customers’ data) is being transmitted around wide area networks. You need to be sure that the data is physically secure and that remote working doesn’t punch gaping holes in your firewalls. 2. Look at the long term. Hosted contact centre solutions can support testing out a new business idea. When buying your hosted solution make sure you understand what happens when the business idea turns into a long term winner. Always look at the costs of your hosted solution over an extended period of a couple of years or more. 3. What happens if…. If your idea is successful or your seasonal demand becomes a consistent demand and you want to move away from a hosted solution to an in-house implementation, how easy will it be to migrate? It should be possible to move from hosted to in-house without having to start again with completely different technology. With a Hosted Contact Centre there’s no need to buy expensive hardware then spend months developing software to establish a Contact Centre. Instead, calls from your customers are delivered to your agents via a virtual telephony system that is managed by a third party, such as NewVoiceMedia. Most vendors use a business model referred to as ‘Software as a Service (SaaS): all the end user pays is a modest fee usually related to the number of people using the system in any month. 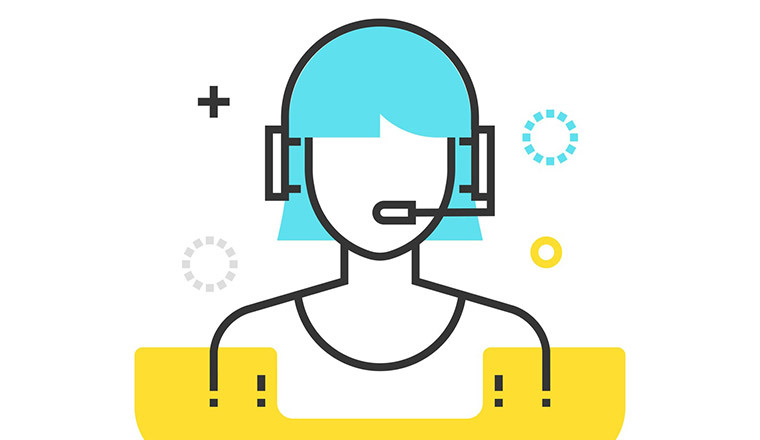 For basic contact centre functionality, such as ACD, IVR and call recording, there is usually no set-up charge, and the low operating cost that is inherent in a pay-as-you-go model means that sophisticated call centre infrastructure that was once the domain of the largest organisations is now affordable by small businesses (SMEs). Can any authorised person change any aspect of the call plan in a matter of minutes? In a traditional premise-based contact centre an army of system integrators can easily spend months carefully tying all the hardware and software from disparate vendors to implement a call plan that works. 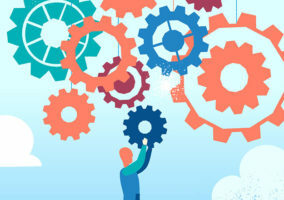 With a hosted contact centre solution, the actual hardware should be transparent to the end-user, and the software should come in pre-integrated modules for ACD, IVR, call recording, CTI and so on that just requires configuration to specific operational needs – eliminating the need to start programming everything from scratch. A hosted contact centre should be able to be managed by anyone that can order something from Amazon. If the depth of the application extends into back office integration then there is clearly a need for a specialist, but in general users should be able to develop quite sophisticated call plans in just a matter of hours and make changes in minutes. Can calls be received from anywhere in the world, delivered to anywhere in the world, and the call centre operation set-up and monitored from anywhere in the world as if everyone were working in the same room? By its very nature, all you should need to set up an agent should be a DDI phone and a PC to receive screenpops. After that, all the technology is hosted ‘in the clouds’: call recordings are agnostic to the physical location of the caller or agent, wallboards show key performance show the status of every agent at a glance, video links and instant messaging maintain the agent/supervisor relationship, and supervisors can listen-in to conversations from a location that could easily be thousands of miles from either party. The ability of anyone, anywhere, to change the call plan using a web browser completes the need for a virtual solution. Can callers be treated as individuals when they call…or is everyone herded through the same process? Computer Telephony Integration has historically been the reserve of the largest organisations, mainly because of the costs of the software, and the difficulty of integrating it into the call plan. A good hosted solution should be easily linked into the latest generation of CRM systems (especially those like salesforce.com that also already operate ‘in the cloud’) to allow sophisticated customer-centric routines to be implemented. Security is an important consideration and most hosted providers today should run their systems on telco-grade systems architecture, with fault tolerant platforms and high availability servers. Ask your intended supplier for a copy of their security policy and check for signs of a sound security architecture. This should include areas such as encryption of data, activity logging and user access security policies to ensure that only the right people can access the data stored on servers. You may only have an initial requirement for an application like a hosted dialler, but you may wish to bolt on additional applications at a later date such as call recording or IVR. Ensure that your hosted provider either has the capability to provide a rich suite of hosted applications to compliment your original investment or that they can provide hybrid solutions, a combination of Customer Premise Equipment (CPE) which can be easily integrated or blended with hosted solutions. Does investment in a hosted application make sense financially? It is probably worth doing a total cost of ownership (TCO) comparison over a period of time reviewing On-Premise costs versus hosted costs. This will provide a clear business case covering the financial aspects which can then be used to achieve board level buy-in. Does your hosted provider make provisions for customising the application to suit your business requirements, this may even include branding the application with the right corporate look and feel? Ideally whoever you purchase a hosted application from should have a strong technical development and service delivery team so that enhancements to specialist business applications can be provided on request. They should also be able to provide you with a clear application development roadmap which outlines plans for further development of services. Before implementing a hosted contact centre application you must define what deliverables you are expecting and identify the project milestones so that your organisation has a clear timeline of when they can expect a fully functioning application. Training needs should be identified and costed into the delivery and an indication of timings given on how quickly changes or feature enhancements can be executed. Does your hosted provider offer 24/7 support and if so is a premium charged for this? What are the typical responses times outlined in the contract and are these in keeping with other suppliers? Is the support and service element subcontracted or do they provide this themselves and most importantly can they provide you with a copy of their standard service levels agreement for you to review? Although we have been talking about hosted contact centre applications for a while now, the take-up has been relatively slow with many organisations continuing to opt for on-premise purchased technology. Over the past few months, I have seen a change and strongly believe that the effect of the current economic downturn has led many organisations to think again. Just because you are not making a capital outlay for your application does not make the selection decision any less important. Whether hosted or not, your contact centre applications are the heart of your business and having the right technology to support the business is vital. What is the basis of the commercial model and does it reflect your business? Per agent per month may not be appropriate if you operate a flexible working contact centre or have fluctuating volumes. Does the provider offer a per-transaction based option? Can you flex up and down in terms of usage? What is the minimum term? Are you provided with your own instance of the application or are you sharing this on a multi-tenancy basis with other users? If it is the latter you will gain economies of scale and likely get a better deal. However, it is important that you understand any limitations with a shared application, such as what scope you have to tailor the application to your specific needs, ability to perform configuration yourself, etc. Also, it is important that you explore the security of a shared-use application and how resource allocation across multiple users could impact performance. To keep costs down, many of the hosted contact centre applications do not use best of breed ACD technology such as Avaya, Nortel or Cisco. One of the key reasons for utilising best of breed ACD is that most contact centre applications integrate to these as standard. When moving to a hosted contact centre application, organisations need to make sure that they do not loose the capability to integrate to their existing WFM, call recording or desktop applications. Where the hosted application is being used to deliver telephony services, it is important that you fully understand if this is tied to a particular network provider or a particular call package. In the current climate there are deals to be done in terms of call charges, however, many of the hosted contact centre applications come bundled with network services. Be careful that you don’t save on your application only to have to spend more on call charges. However, if your organisations have low call volumes, the benefit of not having to invest in and manage your own ACD is most likely to outweigh any tie in to a network service. Finally, it is all about the flexibility and partnership you can achieve. Are you able to only select the applications you need when you need them? Is the solution scalable in terms of both users and functionality? Do you have the choice to bring the application back in-house if you choose to do so at a later date? Check that the hosted solution can deliver a single view of contact centre activities across all media channels and across all sites – thus providing more consistent information and more unified and consistent customer experiences wherever customers are located and wherever contacts are handled. Especially in the current economic climate, organisations need to respond to market trends quickly and take decisive strategic decisions on key campaigns. Look for solutions that can deliver real-time information on customer contacts, agent activities and capabilities so that managers and supervisors can react quickly and effectively to events and fluctuating call volumes. The ability to download ad hoc call recordings to improve business visibility and provide greater control of resources is also important as is the ability to easily add other contact channels into the mix such as e-mail and webchat without having to ‘bolt-on’ other products. When it comes to responding to changing circumstances, it’s not just about speed of response, it’s also about the flexibility to change contact routing, call blending etc. at a moment’s notice. Seek out platforms that allow you to tackle skills issues and easily manage virtual networks by, for example, switching calls between centres and teams at a moment’s notice. Also check that that the platform is easily scaleable, enabling you to rapidly technology-enable new teams without a forklift upgrade or incurring heavy administration costs. hosted solutions are raising and they are a big advantage of today’s business world. You can do so much with it if you just sit down and take the time and think of how to benefit from it the most.